Which 100 Monkeys video has better audio to make an mp3 out of? This one: http://www.youtube.com/watch?v=aHUqh9IrC8U Or the one above? 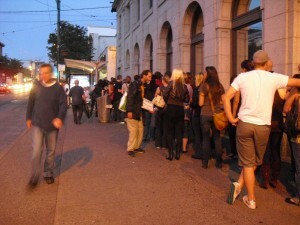 Some of the line outside of the 100 Monkeys show in Vancouver.